“I was captivated," John Allen Paulos says of the second time he met his wife. To attract an inattentive waiter while out on a date, he dared her to tip her bottle of Coke on to the floor. “She hesitated only for a brief moment," he writes. The bottle duly dropped and shattered. The waiter came rushing over. “I was two-thirds of the way to being smitten," he writes. A possibly throwaway remark, but then again, I note that this is a book in which Paulos wields a mathematical lens in unexpected ways. So no throwaway here. I mean, most of us (three-fourths of us?) might have said, “I was well on the way to being smitten", or perhaps we might have settled for “halfway to being smitten". But Paulos has thought this through and thinks a more precise measure fits better; thus “two-thirds". That kind of book. Then again, having read it, perhaps I should be asking this question: Why do I claim “two-thirds" is “more precise" than “halfway"? After all, both are numbers, fractions between 0 and 1. If “two-thirds" is less familiar than “halfway", does that in itself make it more precise, and if so how? Truly, this is the kind of thought process Paulos plays with and writes about, over and over. You might pick the book up anticipating an autobiography, but A Numerate Life is not one in the sense you probably understand that word. Not least because Paulos nurses a “scepticism about the biographical enterprise" and that’s partly why this book’s “progression will be episodic and non-linear". But through it all, he “hopes to show that the points of correspondence between mathematics and biography are … quite profound". 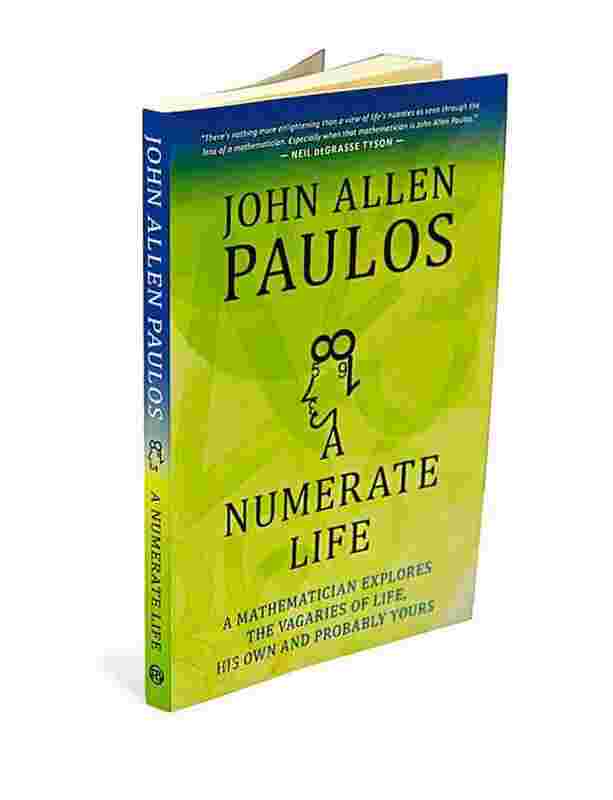 And it’s in that spirit that Paulos takes us on a vivid, thought-provoking, free-spirited tour of his life, that mathematical lens firmly in place. Over here it’s his love interest, her shattered Coke bottle taking him, yes, two-thirds of the way. There it’s someone he knew who was “completely conventional, totally banal and utterly unimaginative"—except that Paulos finds out that he is given to “gluing five-dollar bills to the sidewalk (and) giggling at people trying to scrape them off". Paulos uses this intriguing person as a springboard to show—mathematically, of course—how most of us are best characterized as strange, not normal. In doing so, he raises the question of what, indeed, is “normal". In the spot reserved for ignorant bullies is his math teacher in school. When the young John Allen comes up with an intriguing but unfamiliar baseball statistic, the man “almost bellowed that (Paulos) was confused and wrong and that I should sit down" (“His idea of good education," Paulos comments, “was to make sure everyone remained seated"). But later Paulos finds official verification of his baseball nugget and shows it to the teacher, who can only summon up a “dirty look". For Paulos, this suggests “a potent reason to study mathematics"—that it can help you “vanquish blowhards no matter your age or size". That certainly ought to pull in the students. Tossed into this salad bowl of provocative idea and keen observation are the occasional quick tests of numeracy. Which “self-proclaimed psychic" would you go to, for example: “one who correctly predicts 54 of 100 coin flips or the one who correctly predicts 26 of 100?" Think about it. Also, think you’re up to the task of figuring out how fast a human grows, in miles per hour? At one point, Paulos strikes a particularly familiar chord as far as I’m concerned. We’ve all heard queries like, “Why do bad things happen to good people?" or “Why are all the good girls taken?" I’ve never understood such moaning, because things good and bad happen to people good and bad, period (you can make the analogous assessment of the “good girls" wail). Paulos must get similarly baffled, I suspect. Because you find him musing: “Why do so many people refer to the rescuing of a few children after a destructive tornado as a miracle when they chalk up the death of perhaps dozens of equally innocent children in the same disaster to a meteorological anomaly? It would seem either both are the result of divine intervention or both are a consequence of atmospheric conditions." Absolutely. In fact, there’s something just slightly twisted about claims of “miracles" when plenty of others have died. Enough said. Everything, and I mean everything, is fair game for Paulos and his lens. And that suggests to me the great worth of this book. Paulos makes the case that thinking mathematically is not really a matter of numbers that run through your head constantly. Instead, it is the straightforward—but perhaps uncommon—idea of approaching life with reason, sense, logic and—always—a dose of scepticism. This is a fine way to cut through the fluff, to see past the snake-oil salesmen, sure. But it is also a fine way to live. In a real sense, Paulos has been making that case for years: Check his numerous (pun intended) columns and books, starting with the classic Innumeracy. A Numerate Life keeps up that elegant, insightful momentum. I’m so glad Paulos doesn’t see it as an autobiography, because that might suggest he has decided to stop writing. If that happens, who will help me vanquish the blowhards?